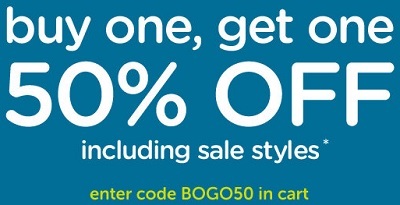 Enjoy BOGO offer from Crocs Canada. Buy one item and get the second one with 50% discount. Second item must be of equal or lesser value. Offer is valid online only. Use the promo code BOGO50 at checkout. Offer expires 11/10/2015. Official source of the information is Crocs Canada. More details about the promotion available online.